Avery and Jacob shared a few weeks of passion. Their meetings resulted in a pregnancy and when Jacob sees Avery for the first time after ending things, she’s already six months along. Jacob wants to be a father and is determined to convince Avery he’ll be there for the child. However, Avery has trust issues, especially when it comes to rich men. Something that happened in her past has made her wary, can Jacob persuade Avery to give him a chance? Avery has a life plan and having a baby might change things a little, but she’s still going to make her dreams come true. She will only depend on herself and her own skills. Accepting help from the rich Jacob is not something she wants. He can keep his money and good manners. She does have to spend time with him though, now that he knows he’s the baby’s father. Will Jacob be able to show Avery a different side of himself, one she’s unable to resist? 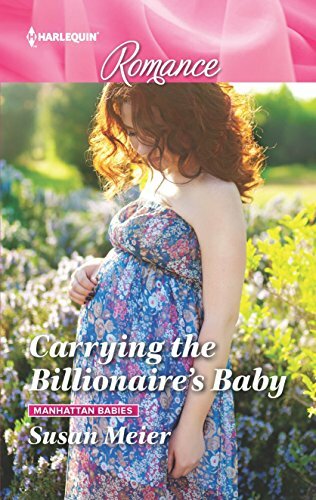 Carrying the Billionaire’s Baby is a wonderful charming story. Avery is strong, intelligent and fiercely independent. She’s made clear plans for her future and knows who she is and what she wants. She’s confident and driven, but has a sweet personality and a big heart at the same time, which is a combination I loved. She thinks Jacob is stuffy. He’s a planner and a hard worker and he doesn't easily share much of himself, but there are reasons. He might be bossy, but he’s also a true gentleman. He’s kind and caring and I kept hoping he’d be able to loosen up a little and show Avery the more relaxed side of himself she so desperately needs. Discovering if they’d find a way to make becoming parents together work kept me glued to the pages. Susan Meier has a lovely lighthearted writing style that immediately drew me in. She doesn’t need many words to create the exact right atmosphere and it’s easy to understand the emotions her characters are going through. Carrying the Billionaire’s Baby is a great fun feelgood story. I love it when a story has an uplifting vibe. There's also enough seriousness to give the story the amount of depth it needs and that combination works really well. Carrying the Billionaire's Baby is a terrific fast-paced read that’s perfect to devour in one sitting. If you love charming feelgood romance Carrying the Billionaire's Baby would be an excellent choice. 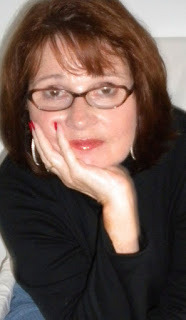 One very lucky reader of With Love for Books will receive a $20 Amazon gift card from Susan Meier. Carrying the Billionaire's Baby sounds like a wonderful second chance romance and a great start to the Manhattan Babies series, part of Mills and Boon's True Love series. This sounds like a lovely fun read, a wonderful second chance and hopefully has a happy ending. I'm really trying to read books that are outside my usual genre, so would love to try this. Many thanks for the awesome review! I like to read books like this. Having a rich man to be the father is both a good and bad thing I would think. Looking forward to reading. Sounds great. I'm looking forward to seeing how Avery and Jacob work things out. I love when a story is so well-written that you can just keep turning pages & before you know it you're at the end. Best of luck with Carrying the Billionaire's Baby and book tour. Thanks for the chance to win! I saw this post in the Saturday, Aug. 04, 2018 edition of The BookTube Your Shelf Daily Reader. I'm not a huge fan of conteporary romance, but this does sound interesting! I love a good independent heroine so this sounds like it will be my kind of romance. Weeks of passion with a billionaire's son can definitely lead to complications! I guess Jacob was himself the billionaire. But you see what I mean. Oh wow your 63rd book for Harlequin - congrats on your writing success. Sounds charming. Love the review. This sounds like a really sweet book with great characters. Thanks for the review. Funny (odd) that I would rather have the book than the money...and yet I could just get the book if I won the money. Geez, I'm an odd one. Really like the sound of this and can't wait to hear how Jacob and Avery's (and baby) story unfolds. Sounds really good, love the cover. Nice change with the woman establishing herself. Thank you for this chance! Your books sound great! how come the contest deadline keeps getting extended? I would like to give thanks for all your really great writings, including Carrying the Billionaire's Baby, and wishing the best in keeping up the good work in the future.